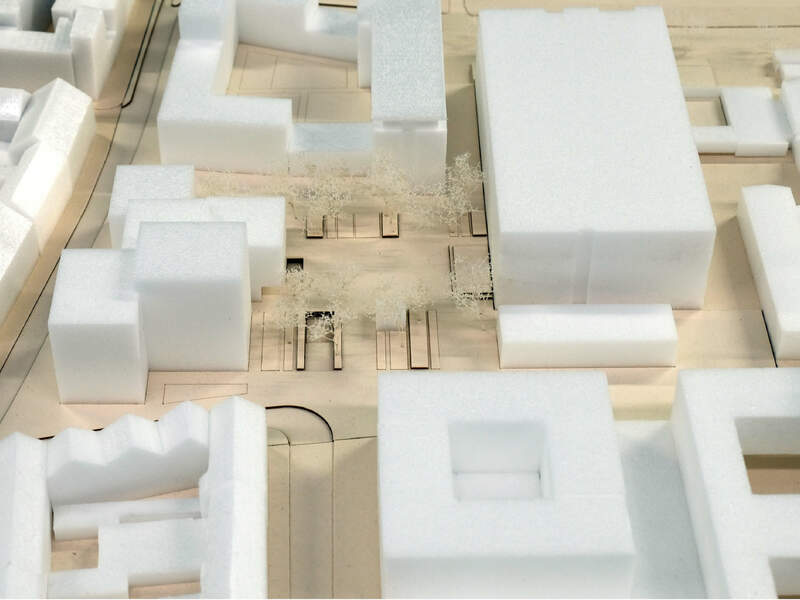 Within the design studio for Cologne's Agrippa quarter open spaces and urban design interventions have been created in order to revaluate the neighbourhood. The Agrippa quarter is one of Cologne’s oldest districts and was part of the Roman city foundation. These roots are hardly visible in today’s urban structure though. 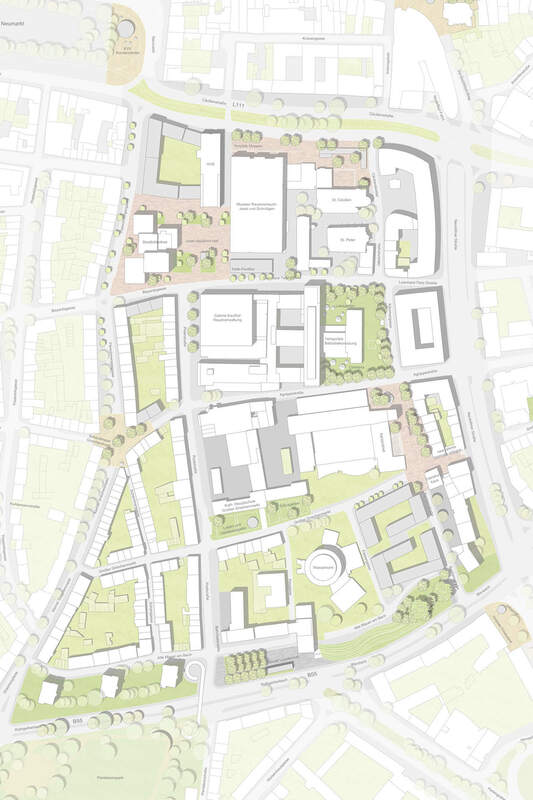 Traffic axes cut up the urban coherence at the sides. The existing high-quality architecture, partly listed, forms a random juxtaposition. The public spaces are of inferior design, hardly refer to the buildings and don’t offer any quality of stay. 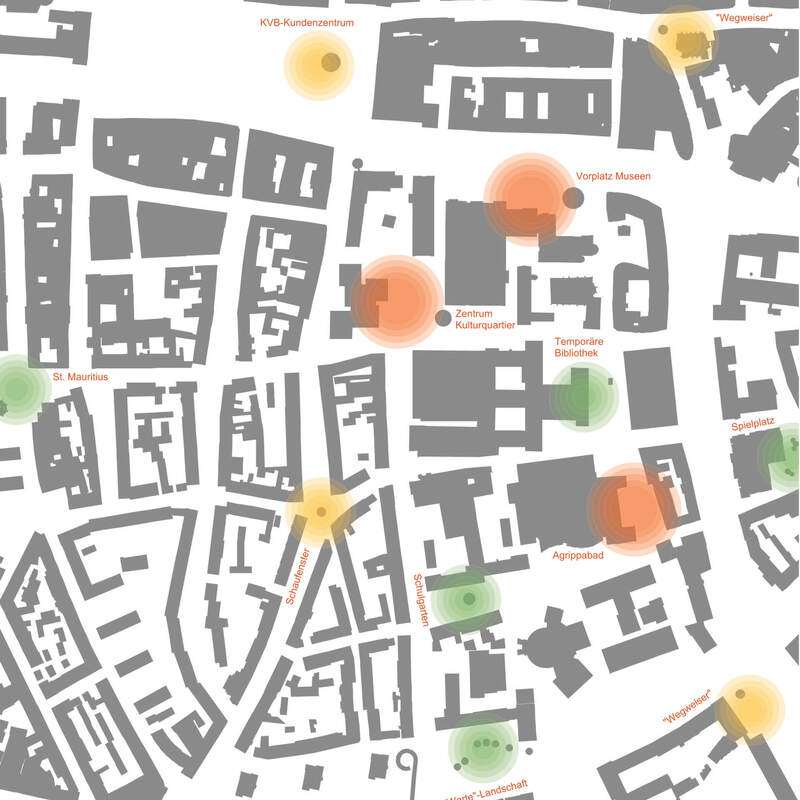 The concept of ‘acupuncture’ places specific urban design and open spaces interventions within the Agrippa district and adjoining urban areas. The goal is to increase the quality of the public spaces and to attract more user groups in the quarter by creating new opportunities of stay. 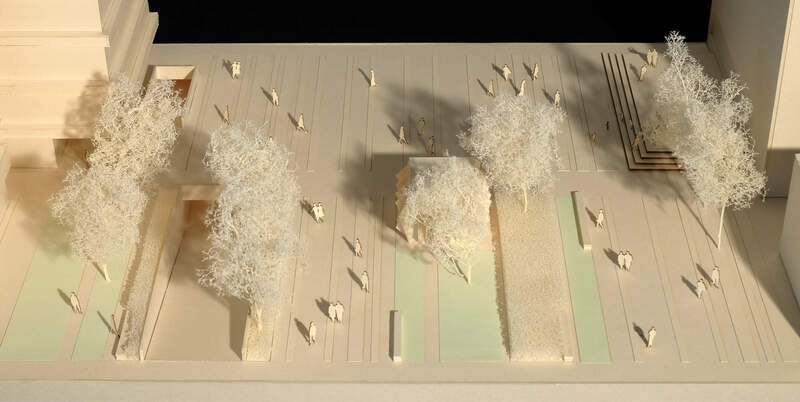 As one top priority, the new entrance square into the neighbourhood was designed. 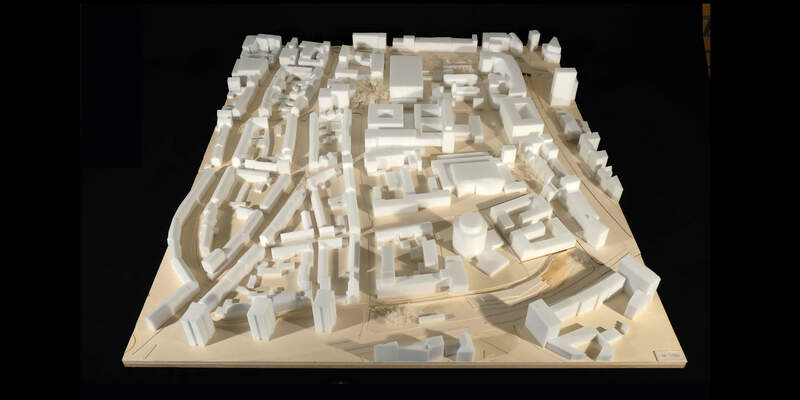 Its northern edge is closed by a supplementing urban design settlement towards the heavily trafficked Cäcilienstraße. 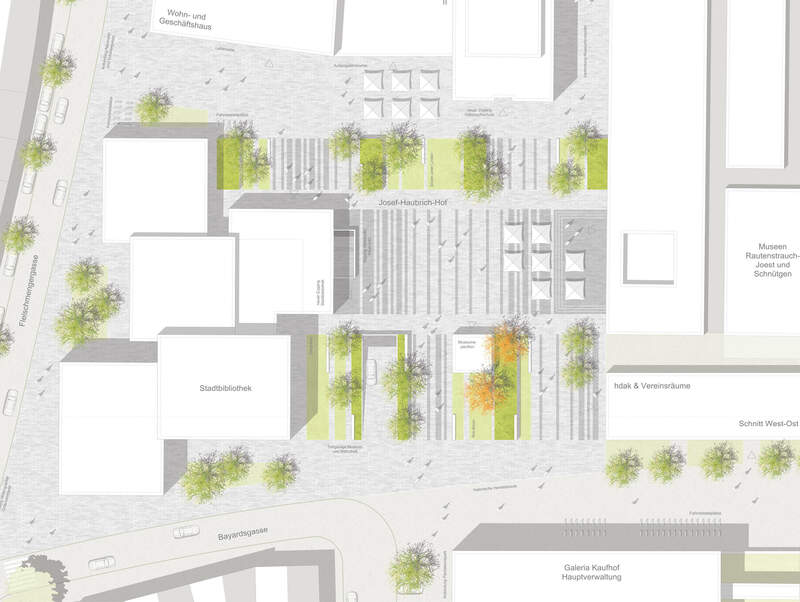 The square’s design and spatial enclosure refer to the library and thus offers starting points for public space uses.